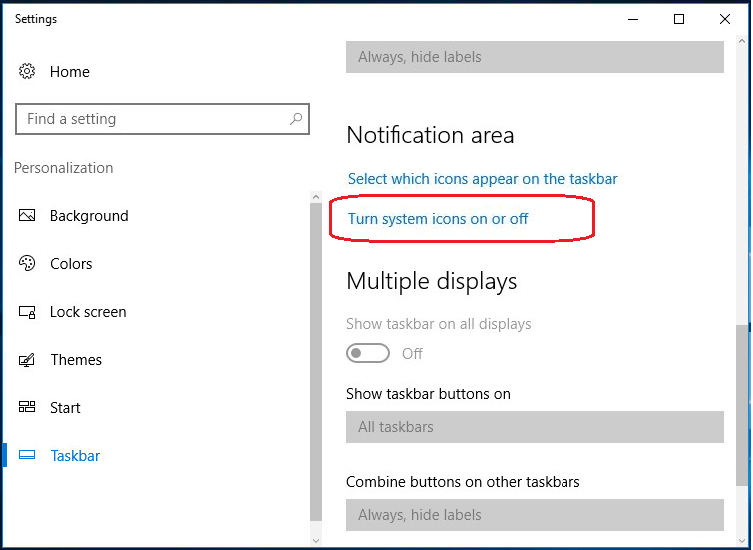 The volume icon in the taskbar allows you changing the sound volume on Windows 10 quickly. But how if volume icon missing? No worry any more. 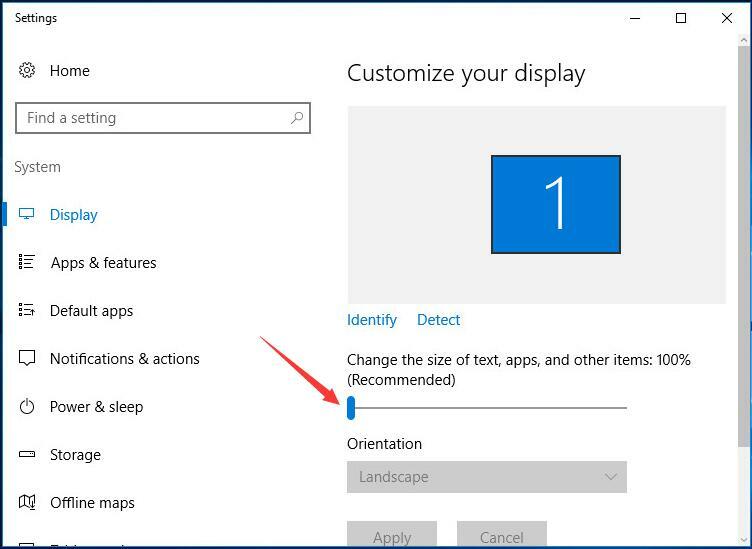 Here in this article, we will be introducing the effective ways to fix Volume icon missing on Windows 10. 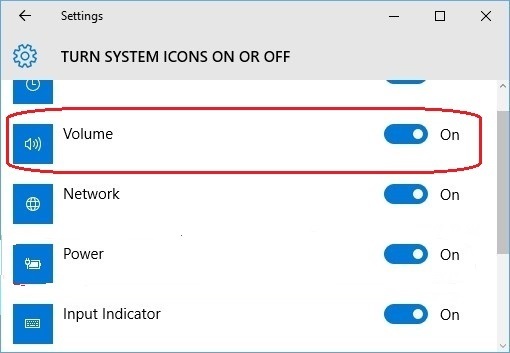 Go on with the easy steps with pictures below to get your volume icon back. 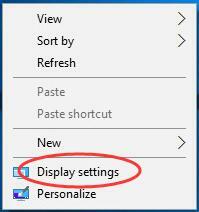 Right-click on the blank area of taskbar and choose Settings. Click Turn system icons on or off. Make sure Volume is on. Go back on the window of step 2). Click Select which icons appear on the taskbar. Make sure Volume is enabled. 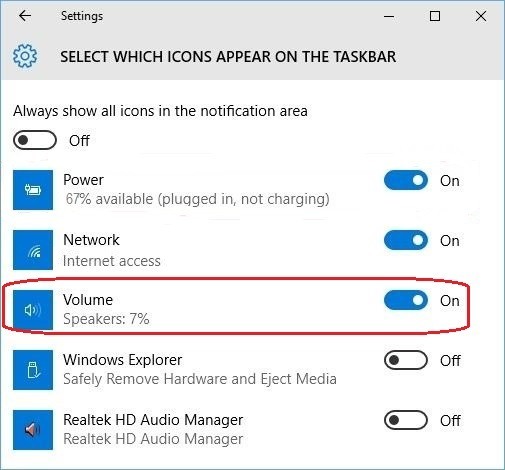 Check if volume icon is on your taskbar now. 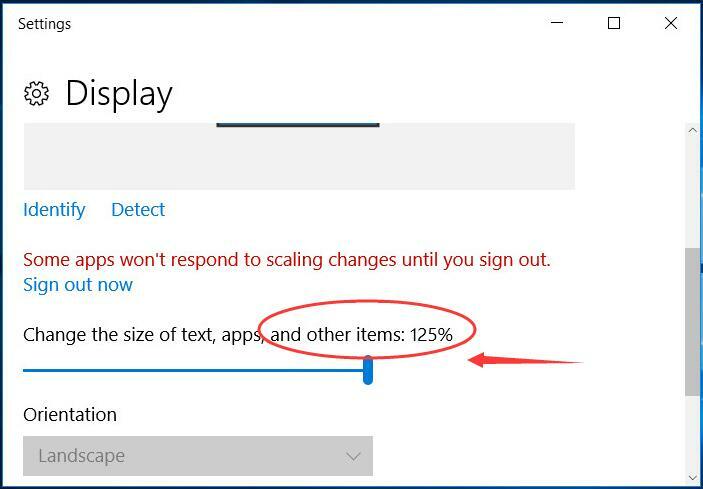 After you make sure the volume icon is ensured and it’s just not shown on taskbar, you can try to change the text size to get it back. Right-click on the blank area on your desktop. Move the slider to the right to set the text size be 125% and click Apply. After it’s done, move the slider back to the left to set the text size 100% back . 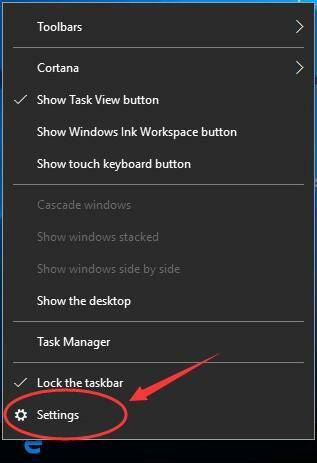 Close the window, and now your volume icon should be shown on task bar. Open Task Manager by pressing Ctrl + Shift + Esc at the same time. 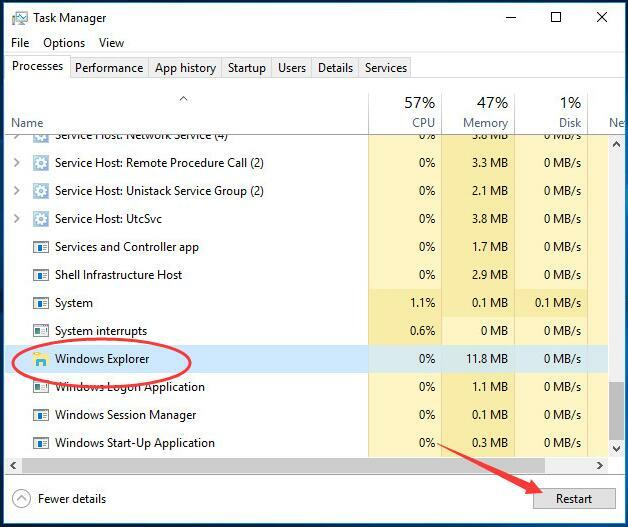 Then scroll down to find and highlight explorer.exe or windows explorer under Processes pane. 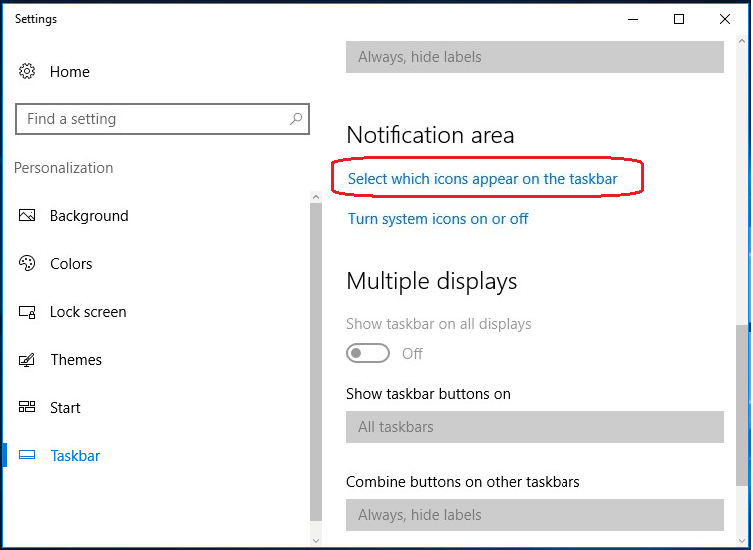 Now check if your volume icon is shown on taskbar. Hopefully you can get your volume icon back.